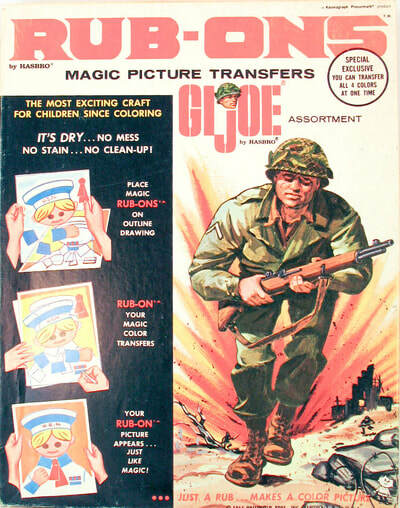 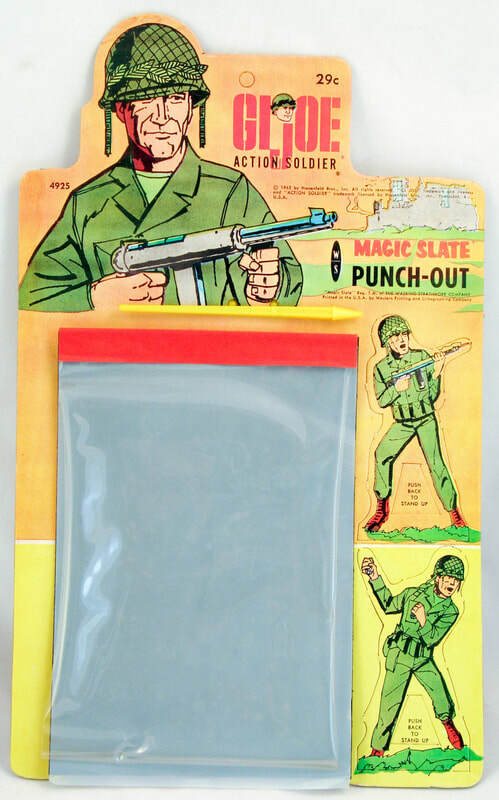 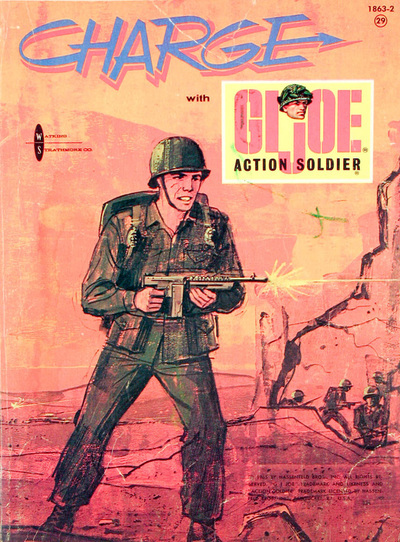 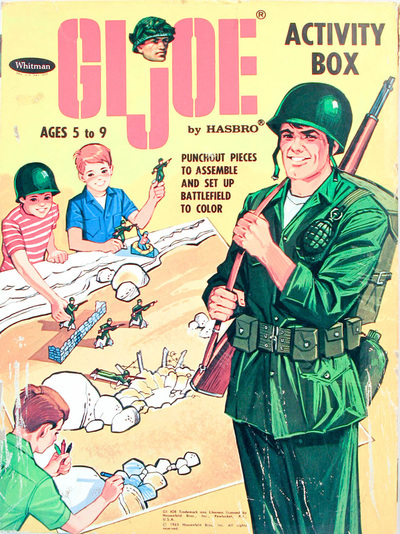 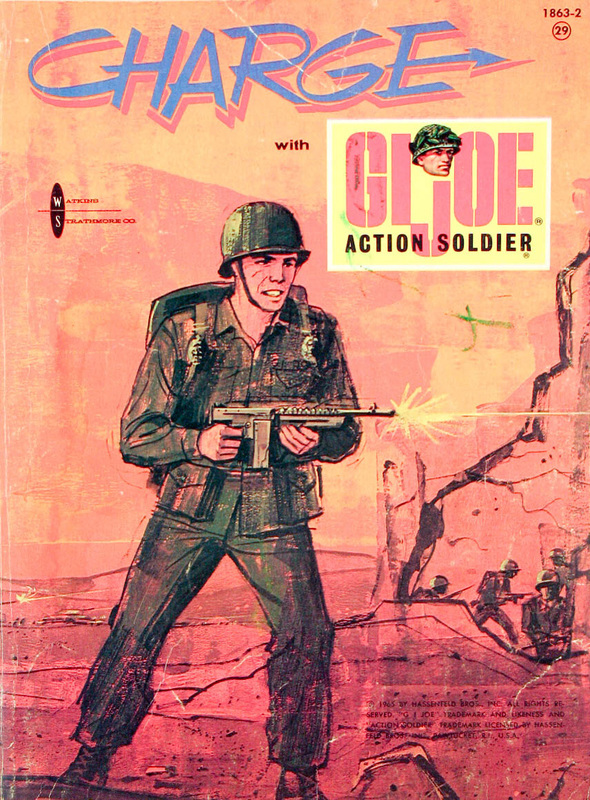 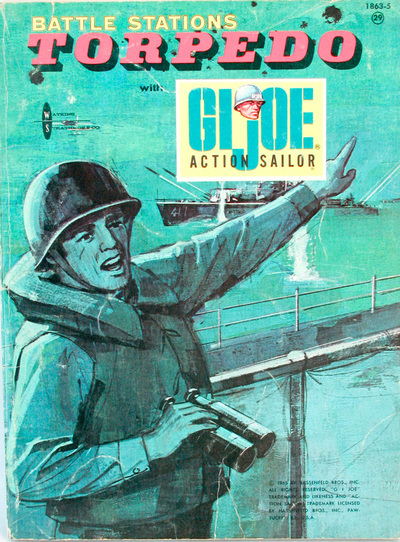 If kids got tired of their action figures and wanted to do something else, GI Joe was still always on hand. 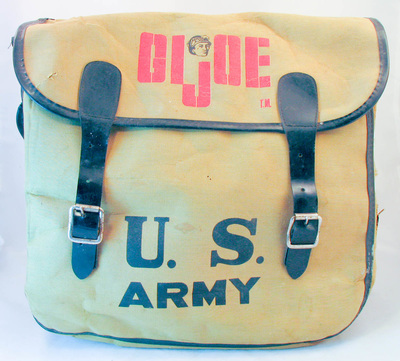 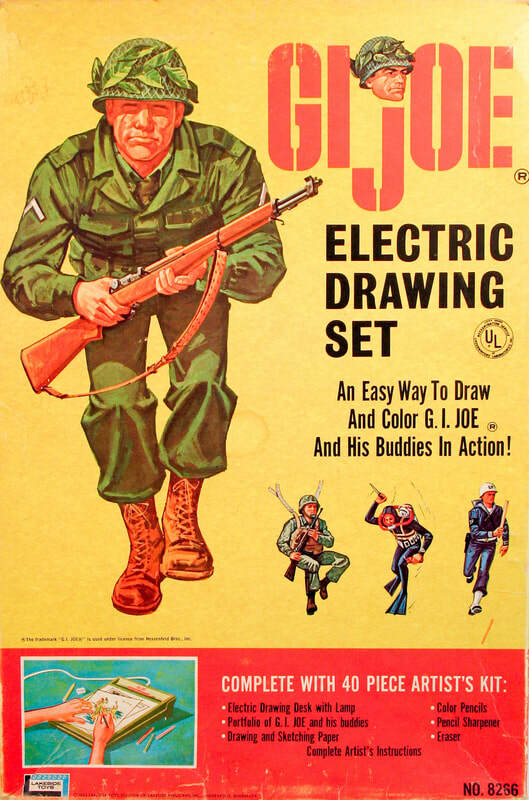 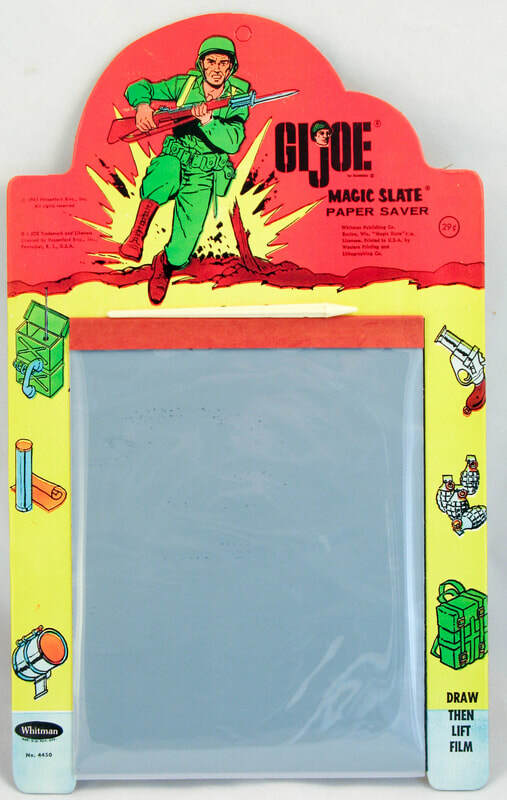 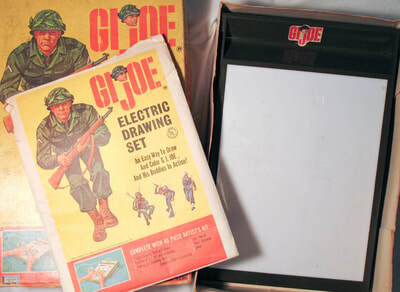 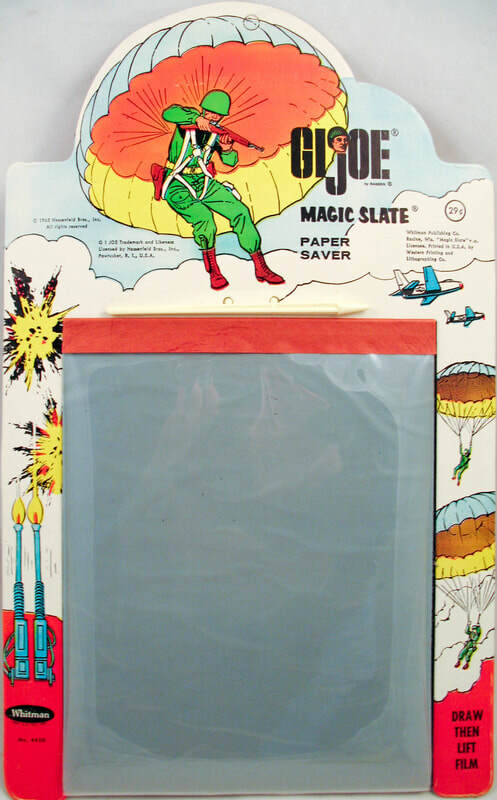 Whether tagging along to school as a lunch box or pencil case, in a coloring book, drawing table, or Colorforms set, GI Joe was everywhere. 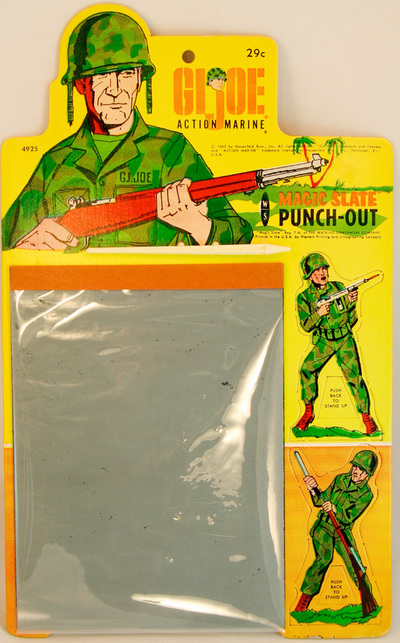 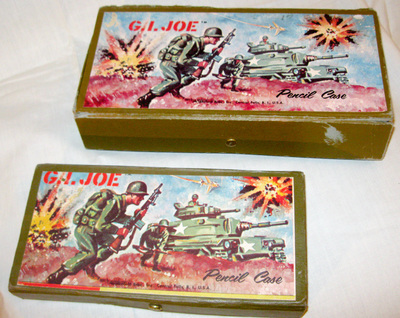 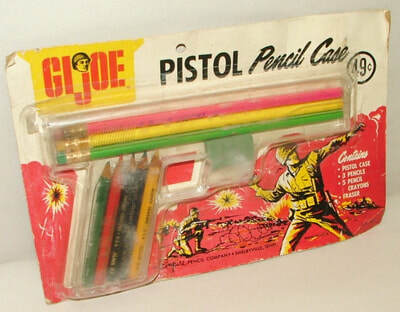 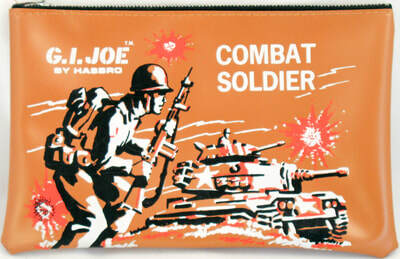 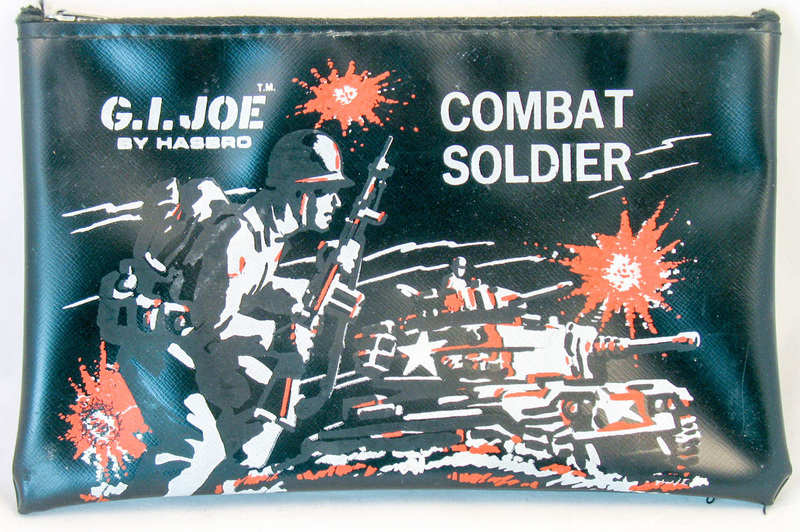 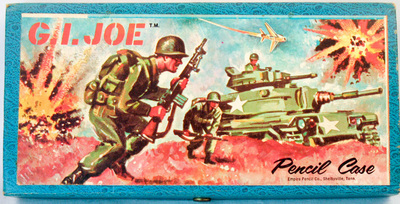 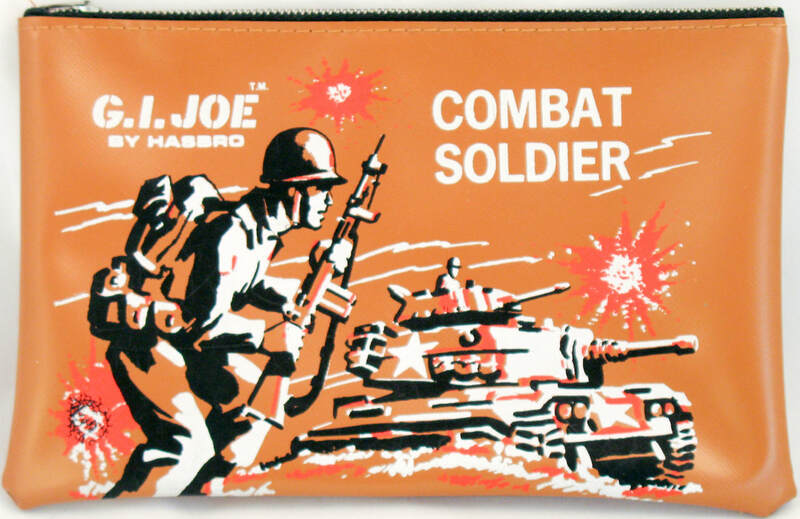 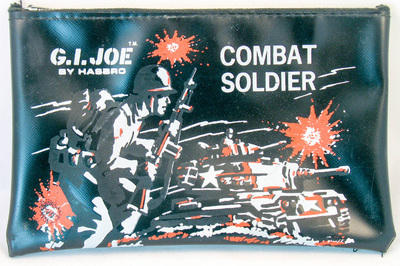 Hasbro started out making pencil boxes and similar school supplies, so of course the GI Joe logo got plastered all over them. 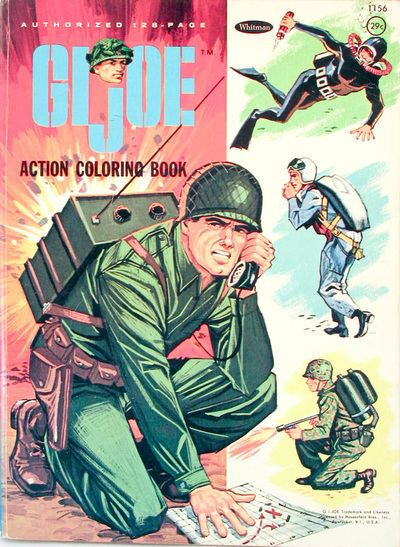 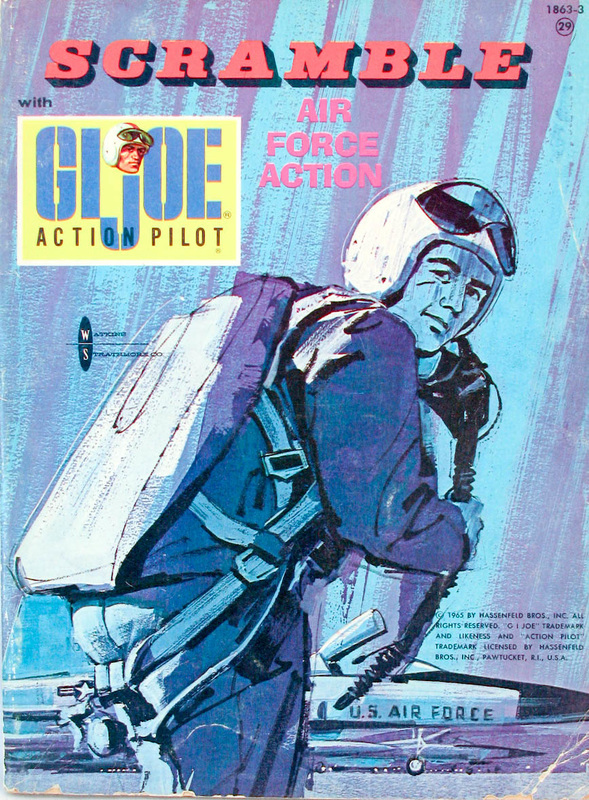 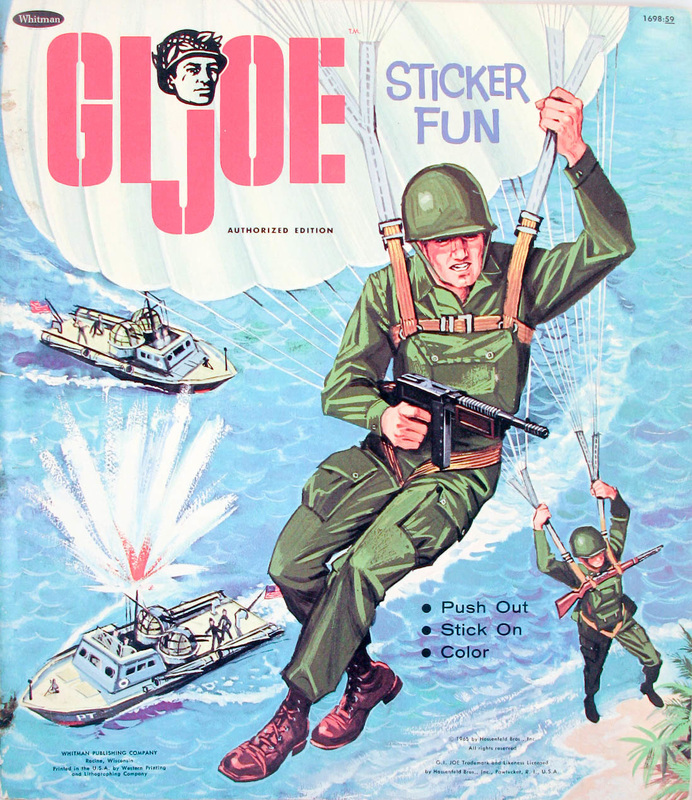 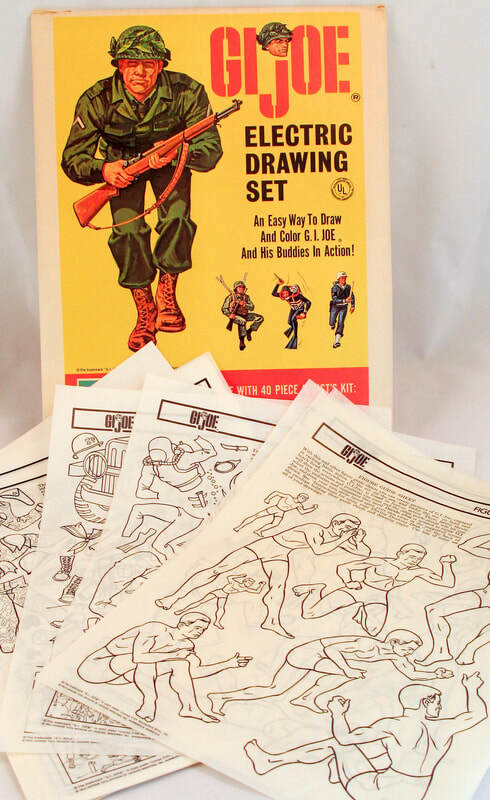 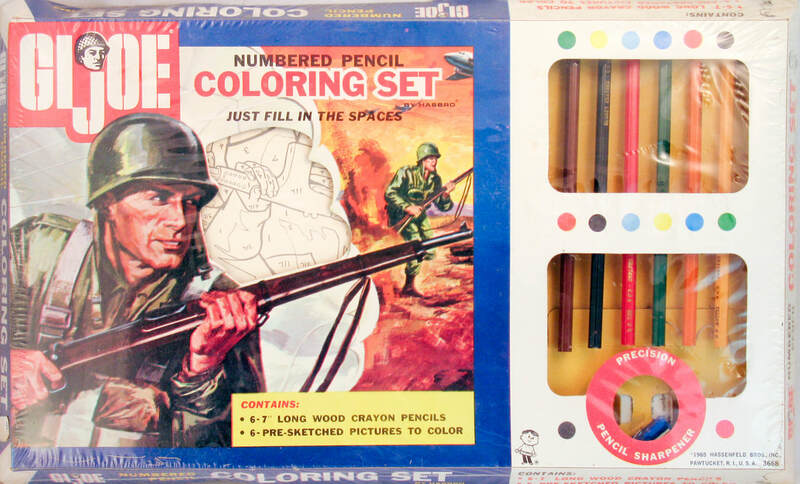 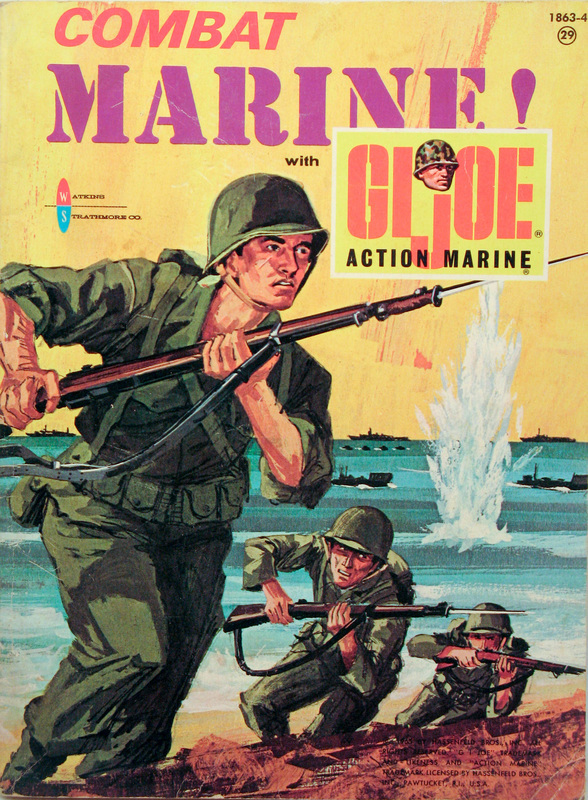 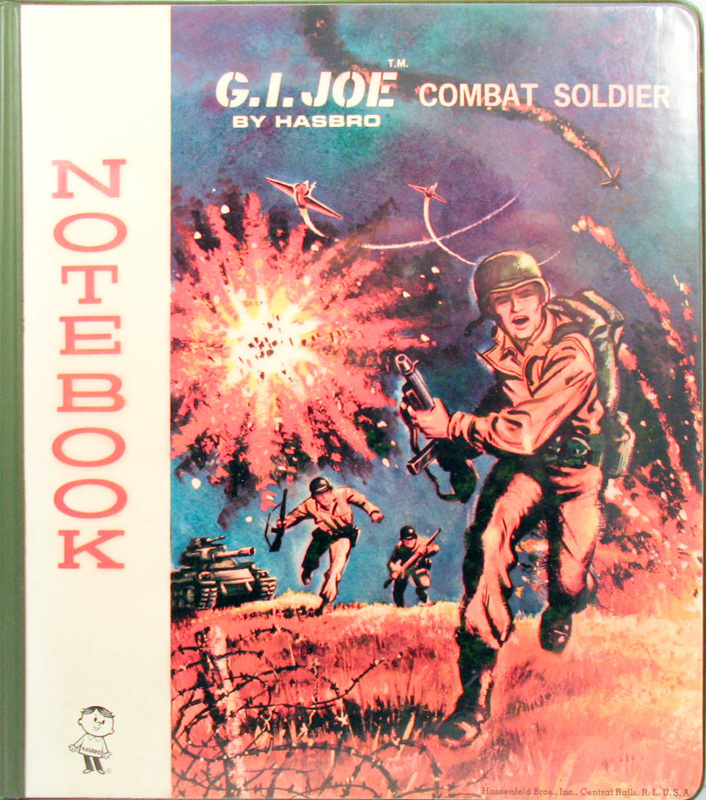 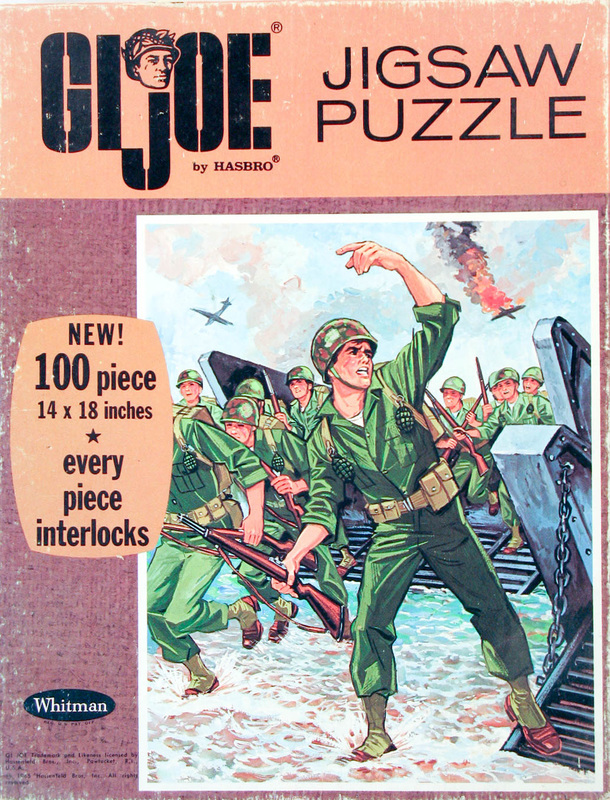 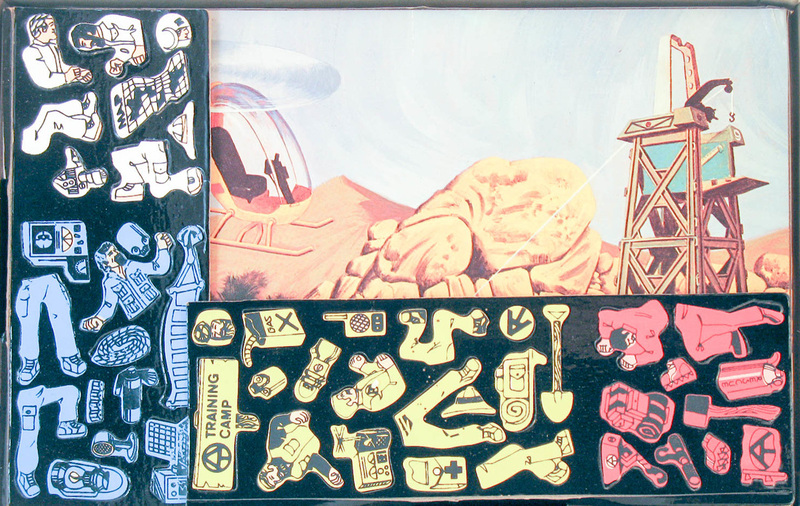 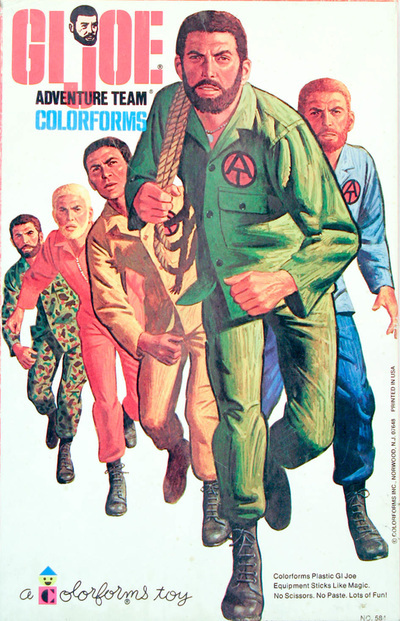 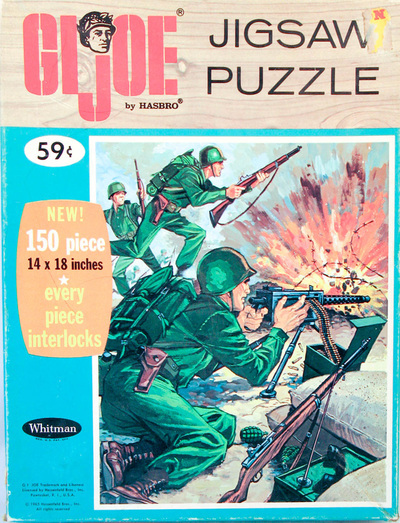 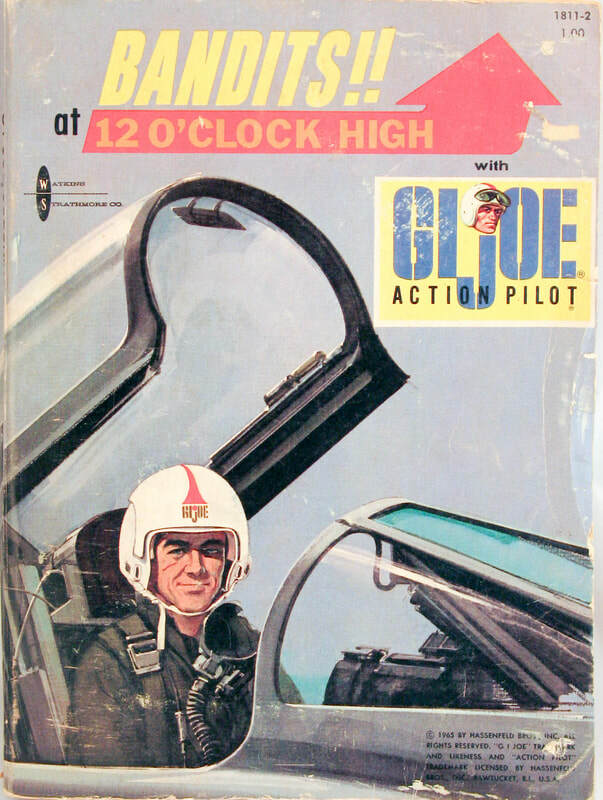 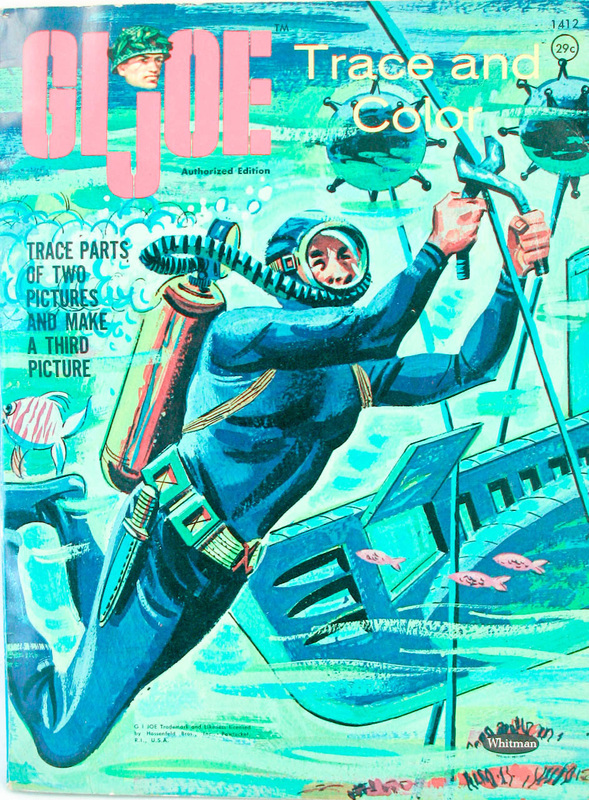 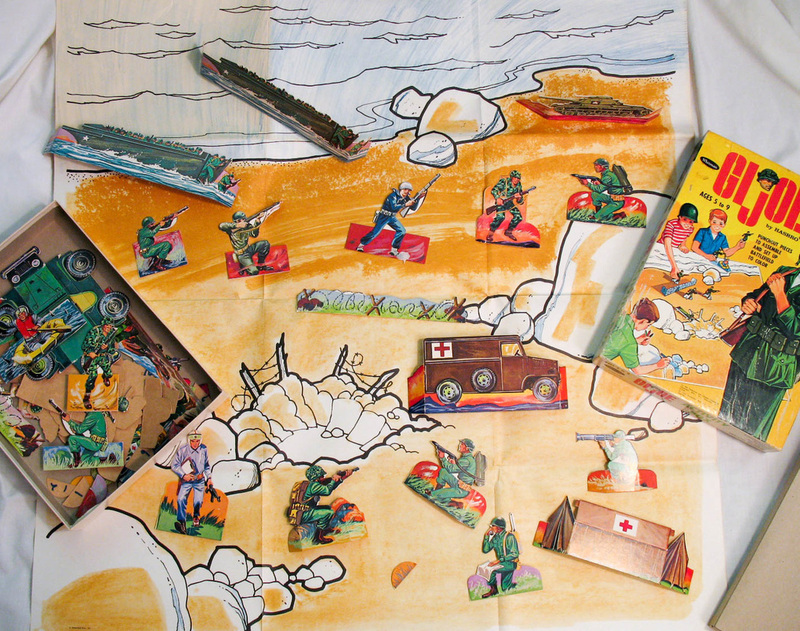 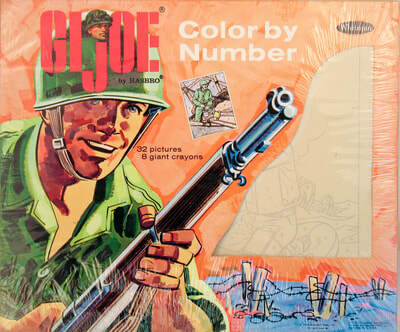 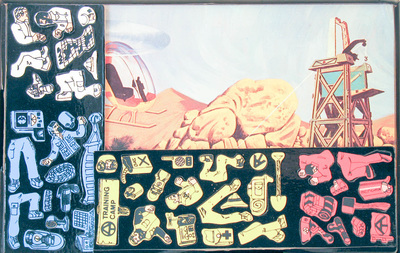 Whitman was the largest producer of coloring and activity books, and also made a GI Joe card game. 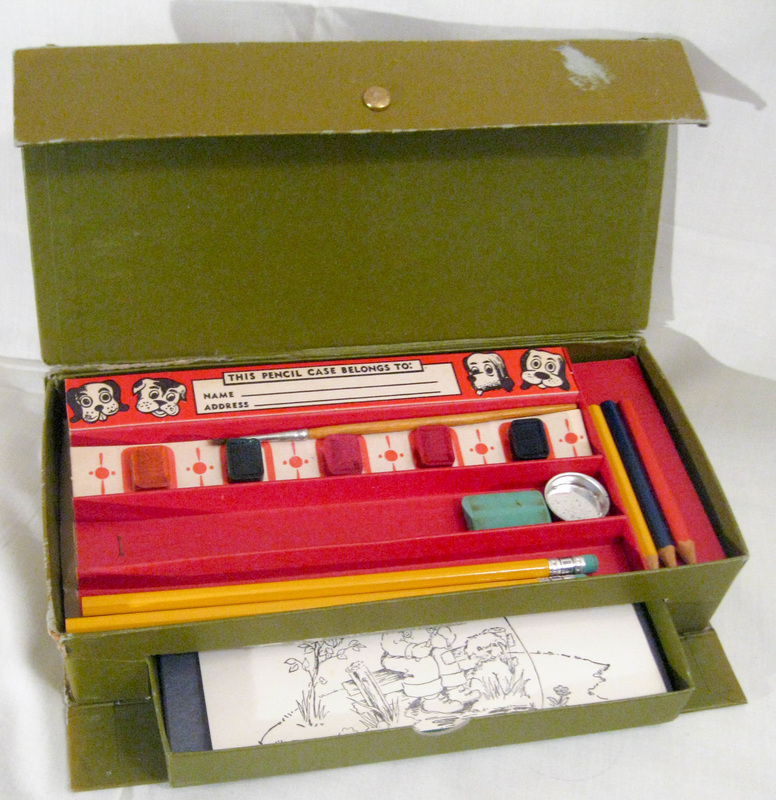 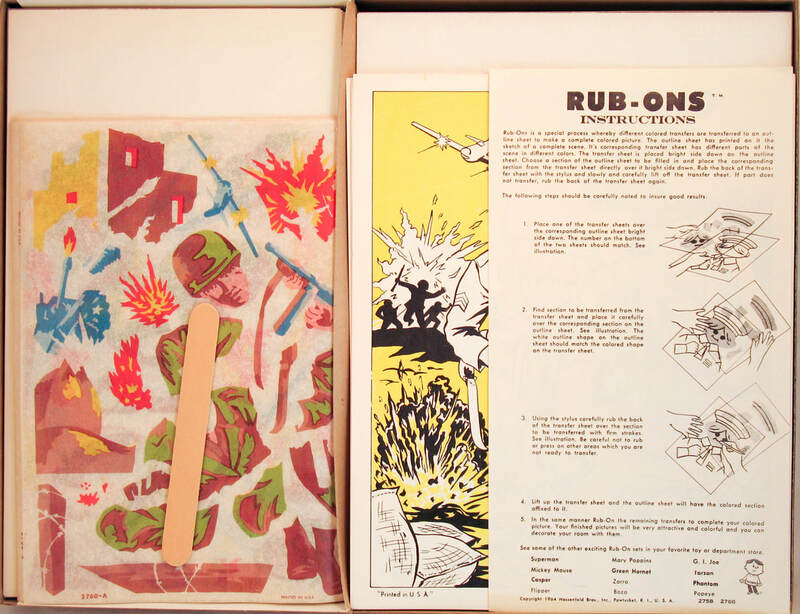 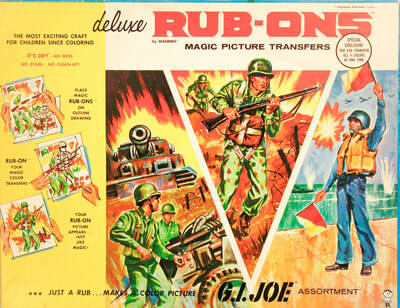 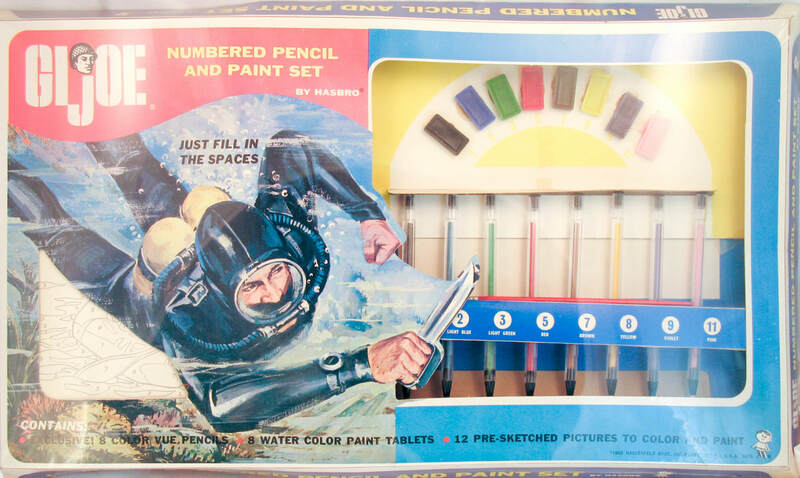 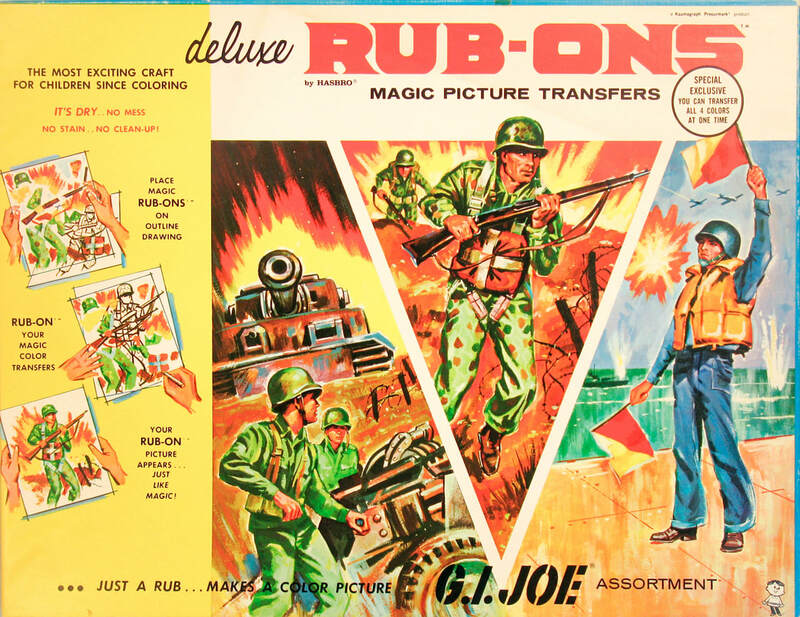 Hasbro also made its own craft items including the Rub-Ons sets. 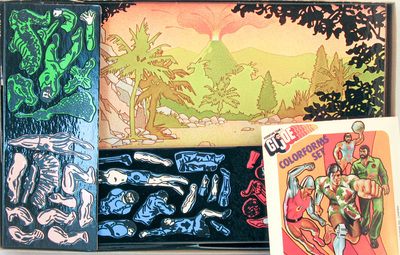 There are several tough to find items not shown here. 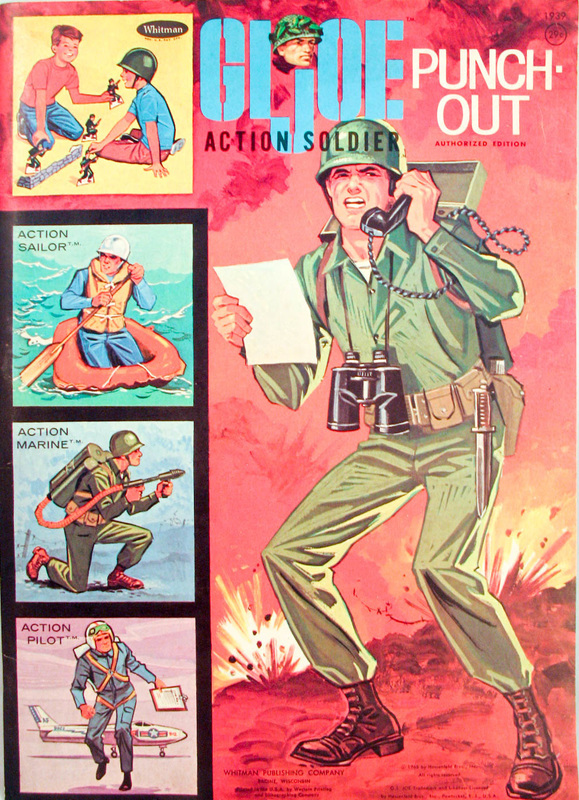 If you have any to share please contact me! Above, a rare Whitman store display header found inside the wall of a Michigan five and dime during a 2017 renovation. 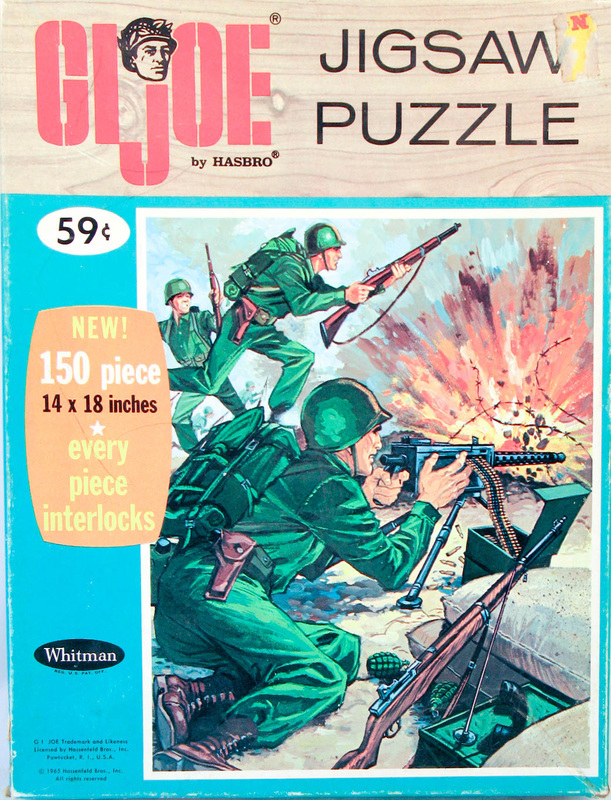 It measures 31 by 16 inches and is two sided. 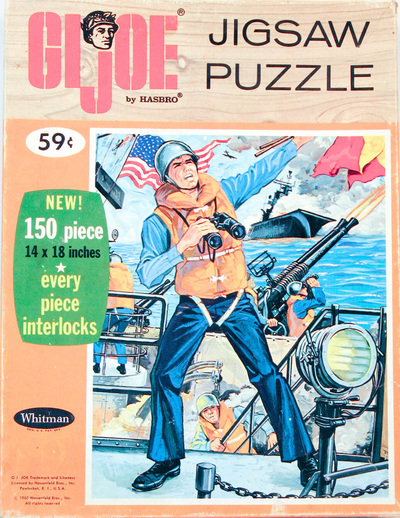 Whitman also made a single 100 piece puzzle and a pair of 150 piece sets. The pilot got slighted, as there doesn't appear to be a puzzle featuring air action. 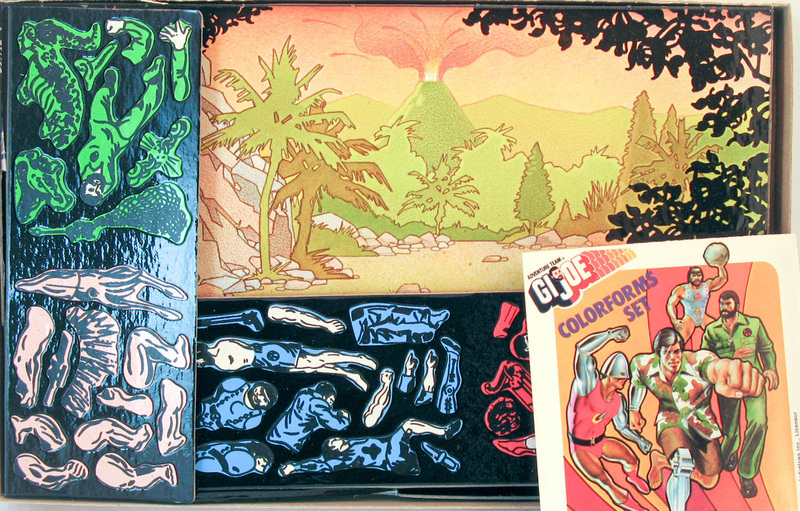 A staple of play for many years, Colorforms were designed to teach kids about color, shape, object arrangement, and dexterity. 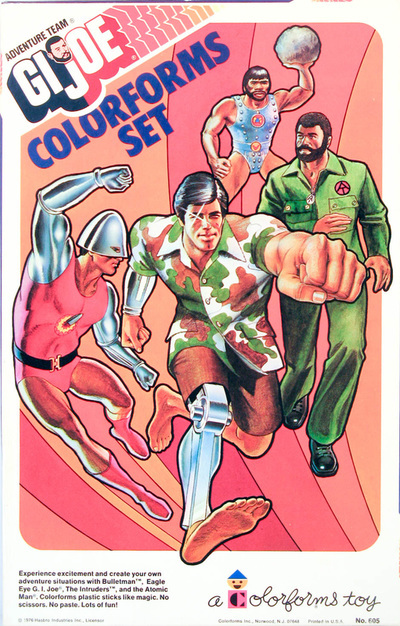 Two sets of Adventure Team Colorforms were released, a classic set and one for the 'Super Adventure Team' featuring Bulletman and Mike Power.